Our leadership team is unlike any other. From the camp’s inception, we have shared the same vision of what the Camp Micah community should be. Each member of the team brings unique skills and experiences to our Micah family. Having known and worked with each other for more than a decade, our camp’s leadership team is a strong, creative, and cohesive unit that strives to continue to make Camp Micah the best Jewish camping experience available. Mark’s dream is the Camp Micah reality. 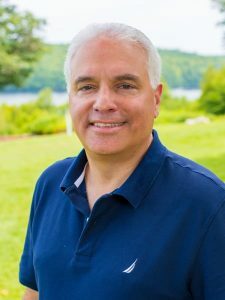 With over 35 years of camping experience as a camper, counselor, head counselor and camp administrator, he is now the Co-Owner and Founding Director of Camp Micah. Mark graduated from the University of Massachusetts with a Bachelor’s Degree in Sociology and earned High School teacher certification. He then graduated from the Boston College Graduate School of Social Work with an MSW and is a Licensed Independent Clinical Social Worker. Mark’s experience with youth is extensive and includes evaluation and counseling of at-risk youth and residential camp experience at most administrative levels. 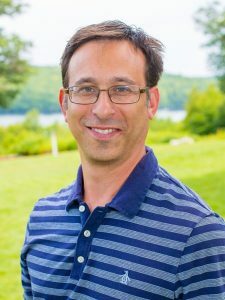 From 1990 – 2005, Mark held many positions at Temple Ohabei Shalom in Brookline, MA, including Synagogue Administrator, Counselor, and Youth Director. In 1995, he became the founding Director of the Ansin Religious School of Ohabei Shalom. 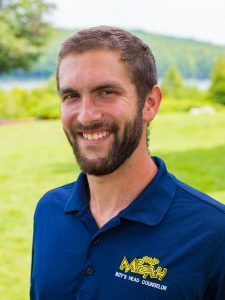 Mark currently serves on the Board of Directors of Maine Summer Camps. He takes pride in the culture of acceptance and the importance of building resilience in campers at Micah. Jodi has over 30 years of experience as a camper, counselor and administrator. She is a graduate of Emory University with a Bachelor’s degree in Psychology and was Camp Micah’s founding Girls’ Head Counselor for eight years. She has worked in a variety of camps, from day camps to camps for children with HIV/AIDS and brings with her a wide range of experience working with children. Jodi was an assistant elementary school teacher in a fifth grade classroom before becoming a founding member of the Camp Micah leadership team. Along with being a mom, an Assistant Director and former Girl’s Head Counselor of Camp Micah, she has volunteered at Riverside Communities for at-risk teenagers and the Grow Clinic, a clinic for children diagnosed with failure to thrive. Her patience, experience and counseling skills add much to the Camp Micah community. She enjoys her summers at camp with her husband, Rob, and three sons, Jared, Eli, and Drew. Mike is one of three Assistant Directors at Camp Micah and a founding member of the Micah leadership team. With over 25 years of experience in camping, he has a long history of working with children both at camp and in many other settings. Mike graduated from the University of Massachusetts with a Bachelor’s degree in Political Science and Social Thought and Political Economy. He earned a Master’s Degree in Social Work from the Boston College Graduate School of Social Work and is a Licensed Clinical Social Worker. Prior to Camp Micah’s existence, he worked as an administrative staff member at an adolescent group home for at risk youth as well as a counselor at a school for emotional disturbed and troubled youth. In addition, Mike has worked in several capacities at Ohabei Shalom, a Reform Synagogue in Brookline, Massachusetts, where he served as the Facility Manager, an educator, and a member of the synagogue’s Youth Team. Mike’s varied experience with children in different settings brings a unique perspective to his work with campers and staff at Micah. Mike and his wife, Shari, were founders of Camp Micah and their three daughters, Hannah, Ashley, and Julia, attend camp. Kate is right at home at camp with over 25 years of experience as a camper, counselor, and administrator. After being Micah’s Girls’ Head Counselor for six summers, Kate is now part of our Assistant Director team where she oversees the programming and logistics of camp. Her leadership, programming, and administrative skills pale in comparison to her enthusiasm and love of children. 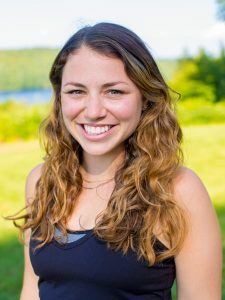 Before joining the year-round Micah team, Kate was on the staff at Temple Ohabei Shalom in Brookline, MA where she held many positions including Director of Informal Education and preschool teacher. She was a dedicated Jewish educator in preschool, primary, middle, and high school programs. Kate grew up in Longmeadow, MA and graduated from Ithaca College. She has taught and worked closely with Jewish youth for over 20 years at congregations and summer camps in New York, Massachusetts, and Maine. She and her husband, Stephen (whom she met at Micah), have recently left busy Boston life to return to Longmeadow to raise their children, Ethan, Isaac, and Sarah. Josh “Seidy” Seidman has been at camp for sixteen years as a Founder of Micah. In his years at Micah, Josh has been a camper, counselor, Unit leader, Athletic Director, and is now our year-round Boys’ Head Counselor. Josh grew up in Dover, Massachusetts and is a graduate of Villanova University where he received a degree in Finance and International Business. Josh’s deep connection with the staff and campers of the Boys’ Area helps strengthen the bonds of our Micah community. He is a creative and enthusiastic individual who is passionate about helping our campers successfully reach their goals. He is excited to help provide the best experience for all members of the Micah community each summer! 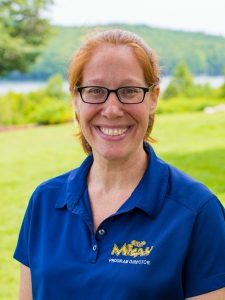 Shari has seventeen years of extensive experience at Micah as a camper, counselor, and administrator. 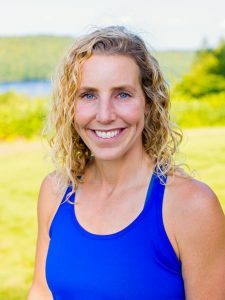 After earning her degree in Mathematics Education at Boston University, Shari currently teaches at Lincoln-Sudbury Regional High School in Sudbury, MA. She is an intelligent, thoughtful, motivated young woman with a heart of gold. She is one of the most respected staff members at Micah and the only thing that bests her love for children is the children’s love for her. Shari lives and breathes the Micah philosophy and we are thrilled to have her as Micah’s Girls’ Head Counselor.